Provide comfort for the family of H. June Judd with a meaningful gesture of sympathy. H. June Judd, 90, of Fremont, passed away peacefully to her Lord on Friday. 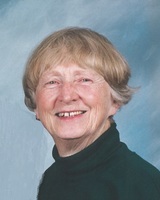 She was a member of the First United Methodist Church of Minoa. She is survived by her husband of 71 years, LaVerne W. Judd; children, Deborah (Scott) Peterson and Timothy (Janet) Judd; many grandchildren and great-grandchildren; a niece and nephews. She was predeceased by her sons Daniel and William. A memorial service will be held at 11:00 am on Saturday, December 22 at the First United Methodist Church of Minoa, 250 East Ave., Minoa. A reception will follow the service. We encourage you to share your most beloved memories of H. June here, so that the family and other loved ones can always see it. You can upload cherished photographs, or share your favorite stories, and can even comment on those shared by others.